This is not an exhaustive list of all the stuff we covered, so you’re going to want to download this to your podcast player to hear it all. Or just click the play button below. If you prefer reading, scroll down for a full transcript. Kira: What if you could hang out was seriously talented copywriters and other experts, ask them about their successes and failures, the work processes and their habits, then steal an idea or two to inspire your own work? That’s what Rob and I do every week at The Copywriter Club Podcast. Rob: You’re invited to join the club for Episode 108, as we chat with copywriter, brand strategist, and coach, Linda Perry, about why she made the jump from prosecutor to copywriter, the processes she uses to clarify her client’s messaging as well as the importance of getting the right mindset and how hidden beliefs can sabotage your success. Linda: Hey guys, thank you for having me. Kira: I feel like, prosecutor to copywriter that sounds like a podcast. I feel like you should get that started. Rob: That does sound like a podcast, more than just an interview. Linda: Right. I hate to burst your bubble guys but I was defense attorney. Rob: Oh no! We’ve ruined the intro. Linda: It doesn’t have the same ring to it, too. Kira: Linda, let’s start with your story and how you ended up as a copywriter. Linda: I definitely don’t have traditional path, but I feel like even though I was a defense attorney, the seeds of being a copywriter literally started when I was like six years old. I think I gave every stuffed animal, every Barbie, every car, a story. I was always really wrapped up in the storytelling part of life. I always wanted to be a copywriter but with immigrant parents that we’re like, ‘No, no. You need a profession’, I went and became a lawyer. Part of what I loved about being a lawyer was really my paper walk through the door before I did. It was always about telling someone’s stories. After 17 years of being a criminal defense attorney, you get tired, you get a little worn out. I really started to think about who is it that I want to be. With a little life coaching background, I pursued life coaching really changed a bit of my beliefs about what I thought had to happen in my life. I recognize that I really love giving people a voice, and I wanted to do it in a different way. I took the leap somewhere around the age of 40, and just decided it was time to pursue what I had always really wanted to do from even being a little kid. It’s a bit of a strange road but it’s been perfect for me. Kira: Okay. We’ve already talked about this before, but we both really loved Barbies growing up, which is now not cool, like it’s not PC to say that because Barbies are not in anymore. Rob: We should clarify just a second, when you say ‘we both’, you’re talking about you and Linda, not Kira and Rob because I wasn’t really…. Kira: No, the three of us have talked about this many times. Yes, Linda and I have talked about this. I want to hear, you glossed over it, but you mentioned that’s … you created these stories around Barbies and other toys growing up. I’m not sure what my question is here, but I want to hear more about that and then how you do that today in your business. Linda: I think I just … I had a really active imagination when I was a kid. I just loved giving them a world that they lived in. I wanted to know how they thought, what they were doing, what really made them tick. I can literally remember at the age of six just creating a whole, maybe it’s almost like soap opera like where they had this whole community and lived, each of them had their own personality. The way it translates into my life today is that I still think I dig deep into what’s driving people. What is it that really, what gives them purpose, what gives them the drive to go after something? I think that translates into the way I approach working with clients or even all my copy or whatever I write. I always think it has its seeds. It made me more creative. I wanted the Barbie upground pool and I didn’t get it. I had to really work my way around it. I had to sell myself really on this bucket becoming…. she had a different kind of pool. That’s kind of the way I think Barbie influences me still to this day. Rob: That’s funny. Linda, I’m really interested in the aspect of your career, the legal part of your career and how that’s impacted how you write copy, because it seems like there’s so many things in law that translates to what we do in copywriting research and writing out either briefs or oral arguments or those kinds of things. How would you say that being an attorney has made you a better copywriter? Linda: I think in every way. I think about it every day how my process for writing or defending a client is really not that different from really representing someone’s brand. I started … one of the things I loved about being a criminal defense attorney is you had to learn something new every day and you had to learn it fast. One day it was mortgage fraud, one day it was, the next was immigration, or maybe a drug case, but you had to really dive in and understand the process so that you could actually write about it so you could convince somebody of your version of the story. I should say also you had to read a jury. You had to really understand what somebody’s thinking, how do you convince somebody? What is it that maybe will impact them the most? That kind of stuff being a trial attorney translates so perfectly into what I do today because it’s the same approach. I start out by looking at what really is the problem that your ideal client’s facing. What is it that really motivates them? I am really good at standing in that person’s shoes because of it, because when you’re a trial attorney, you have to stand in everybody’s shoes so you could tell. As my former partner used to say, so you could play the movie for somebody. I still think I do that with my process in that I started out, we’re really looking at what’s the problem, what motivates somebody, what’s really the objections they’re going through, and then you research, and then you can finally start to write. I’m always living as that person. I think it really helped being an attorney and it’s the perfect transition to what I do today. Rob: Talk about that transition as well. What were the first copywriting clients like? How did you find them? Did you stop being an attorney and then started being a copywriter? Did you ease into it? What was the transition like? Linda: I think like a lot of people I had a period of exploration. I didn’t hop right into copywriting. I actually went and explored life coaching for a while. I had followed the work of best-selling author, Debbie Ford, and I chose to dive into her program and watched it really change my life. Life coaching gave me the courage to leave law. It was a safe place for me. I was a rock star. I had a great career. Life coaching gave me the courage to start to explore what I loved. What happened though when I became a life coach is that I recognize that about 80% of them fail. I went, ‘Why is that?’ Of course a lawyer had to be like, ‘Well, let’s go research that.’ What it really came down to is that a lot of life coaches or people in the wellness industry really don’t know how to share what they do in a unique way. I started out slowly with my own brand and I started to really learn what does it take to actually share your message. I would take whosever course I could find and really learn about how do I stand up. I do some of Marie Forleo’s work. I just really start slowly in … I’d follow Amy Porterfield. I would start to follow people and try to understand what it meant to share your message. Then as my business grew with life coaching, a lot of other life coaches came to me and said, ‘How did you do that? Can you help me?’ All of a sudden I found myself writing and helping other coaches and it was … I was wearing my superwoman cape and thinking, ‘Hey, I could run two businesses at the same time.’ Again getting burnt out, I just said, ‘Okay, I got to pick one.’ I really … there’s an exercise I actually do with a lot of clients that I called to suitcase exercise but it’s really like I put in what is it that I want to do, what are the pieces of my career that I love so that I can actually figure out what I want do? I realize that writing and giving people a voice was so important to me that I ended up leaving life coaching and/or, I guess really incorporating into a copywriting and brand strategy business so that I could really serve people in a better way. That’s the transition I made. It took a few years from becoming a lawyer and letting that go to really having a thriving copywriting business. Kira: Just so I have context, what was the timing on that? When did you jump from being the attorney to coaching and then into copywriting? Linda: That was probably about eight years ago that I started this process. I think I started slowly with a certification in life coaching and then I got a second certification. I spent probably about three or four years in that life coaching place. I think I’ve been running sole genius branding for probably about three years now. Kira: Okay. When it comes to coaching, I have a couple of questions that I’m just going to throw at you. How does your coaching background help you with your clients now so that you’re more useful in providing a better experience and more quality work? How can copywriters get better at this too, because I think we can all use that as a skill set, and because I imagine we don’t have to necessarily be certified, we can start practicing and taking some of what you’ve learned and using it in our business. Linda: Yeah, because a lot of it I think is just understanding human nature. I think I used coaching to help people really get over that fear that they have of putting themselves out there. Sometimes they’ll look at copy and be like, ‘No, no, no. This isn’t right or they get really frozen all of a sudden. I use coaching to really address what is it that they’re afraid of. A lot of people really focus on how they’re not unique. They don’t think they have anything that’s going to make them different. They really get caught up in, ‘Wait, should I be?’ Should I really stand out there copy what should … how do I do this? Though we worked through a lot of the beliefs that they have and I’ll just address them. When I see clients getting frozen, like for example, you’ve got that client who just isn’t returning the edits. You can sit there and address some of the fears in a quiet way, just explain that, ‘Hey, I get it.’ This is really frightening to put yourself out there and I have a lot of clients that are like, ‘Oh my god, this is so real’, when they see the copy. I think I just used the coaching to help them understand that fears are always to be there, but I always teach my clients that fear really is your friend. It’s there to remind you know that you’re about to break through your ceiling and achieve something incredible. I think I just use it as a strategy to move people along and really support them in getting out there and not just settling with having a website, but really going out there and sharing what they have. Rob: Linda, when you were talking about your transition, you mentioned the suitcase exercise that you have. What is that? I’m curious because I’ve never done a suitcase exercise. Maybe I should be doing this. Tell us what that is. Linda: It’s really simple, and it just dawned on me one day as I was sitting there going, ‘Hey which way am I going?’ The suitcase exercise is this. Imagine that you’re about to go on a journey for the next year. You have a limited amount of space. You’re carrying your travel size bag that you can stow in the overhead bin, and only the essentials of your life can go into that suitcase. I’m not talking about your cell phone, I’m not talking about kids’ pictures, I’m talking about parts of yourself that you want to bring forward. Little pieces, I love being helpful, I love talking to people all day long. Little pieces had to go into the suitcase and only the essentials. When you actually start to look at what you’ve put in there, it really gives you clarity on where you want to go. You can use this in terms of who do you want to serve, or what is your next evolutionary leap. Who do you want to be tomorrow? It’s really a simple exercise about looking over your life, looking over the things that you love and putting those things in there so that you can really see who you want to be. Kira: What size suitcase can we use for this? Is this a big suitcase or a little suitcase? Linda: It’s the one that goes in the overhead bin on the plane. You are taking on a carryon, Kira. Kira: Okay, this might be challenging but I love this exercise. Rob and I will try. We’ll get our physical suitcases out when we’re together next and we’ll work through this. Kira: I want to hear about the one thing that’s helped you really up level your copywriting career. I’m really thinking about like that moment where you’re like, ‘Okay, I’ve got this and I can do this and this is what I was meant to do?’ What led to that moment? Linda: I’ve always known that I can write. It’s one of those things, like you talk about what’s your zone or genius? What comes easy to you? Writing has just been one of those things. I think the thing that’s really up leveled it is I’m a quick study and so I knew that I was able to write content for websites and do all these things but I knew I also lack the structure. You guys know my sister’s also a copywriter and she’s like the superstructure gal. I’m the more creative one, but I realized that I wasn’t serving my clients well if I wasn’t investing in really understanding some of the tools that you need in order to share copy in a way that it’s going to attract your audience. Really, there’s a formula to it. There’s a layout. There are things that are important. I did invest and become a story brand certified guy. I think what that did is really give me structure to what I was already doing naturally, but in a way that really makes sense for my clients. It’s made the world of difference in terms of being able to understand how to help my clients stand out in a better way. I think it’s one of those things that I heard a lot of copywriters talking about lately is that really investing in some of these courses that help you really put a structure around what you do is so important. I think that really was that aha moment like. ‘Yeah, I really needed this. I really wasn’t serving my clients well until I.’ I really invested in my own education, and I think that’s super important. Rob: We’ve promoted Storybrand in our group and shared Don’s book in the past, so I think a lot of our listeners may be familiar with it. For those who aren’t familiar with it, would you mind just giving us the couple of minute rundown on what is the storybrand framework and why is it valuable? Linda: Absolutely. Storybrand was started by Don Miller. He has a book out there called, Building A Storybrand. What it is basically is that it’s a positioning of your audience as the hero. So many of us know it’s almost a relief. So many of us think we have to be the hero of the story, but the reality is there’s only room for one hero and that’s your ideal audience. Don created a seven step framework, if you will, on sharing your brand message that really puts forward your hero, your audience through a journey. It’s really all about them and addressing their problems in a really simple, clear way. One of the things I really love about the storybrand method is that we think we have to give people so much information but really every piece of information is like an 8-pound bowling ball. We can only handle so many of them after three of these 8-pound bowling balls, you just drop them. That’s what your audience is doing. It’s really about talking to the brain about how to really move through copy and convincing people that you’re the person for them. The storybrand framework really simplifies everything I think, and allows you to share your message with a lot of clarity, it’s my favorite part of it really is if you see a river and what you’re really doing is, is helping people, you’re putting stones in the water and helping people cross the river. It’s really the … it’s a river of decision making. That’s really basically what the storybrand framework is and it’s pretty effective. I mean, for my own business I can say it’s made a huge difference. I mean just implementing it on my site has really changed. I mean it’s quadrupled my business. Kira: Let’s talk more about that. It sounds like you’re saying that you were looking for some type of structure, some type of process for your business to help you help your clients and storybrand fit that for you and maybe it won’t fit for everyone. They can find whatever that is for them, but I’d like to hear more about how it has impacted your business and blown it up really in the best way possible. Specifically what changes did you start making and how did it change your business? Linda: I suppose several different ways. One of the things I will say this is Don Miller does support his guides and so he does … anybody who does follow Don Miller can find any one of us guides sort of on his website, but what it’s done on my own personal website is I changed the messaging and I will say just having a clear call to action. I have schedule a call all over my website and clients will time and time again say it is absolutely clear what you want me to do, you want me to schedule a call with you. It is, I mean it’s all over my website. The three ways that people can interact with me, it’s schedule a call, get a personalized plan, and you get to go back to doing what you love while I help do your brand strategy and copy. It’s super clear and it makes it easy for people to really identify themselves. I think it’s just the website in and of itself has been the biggest leap, and then I think from that is, is I have a very consistent message that I share on social media, whether it’s through Facebook, Instagram, which has become my latest obsession, but it’s really allowed me to understand exactly what my audience needs to hear time and again, instead of really bouncing everywhere being sort of attracted to the latest thing. It keeps me focused and on message. Rob: Tell us a little bit about your process then. When you start engaging a prospect for the first time, how do you start getting that information so that you can then build a story brand or follow the framework that Storybrand has. What’s that interaction? What do you ask for? What do you get from your clients? Linda: I always start out with that 30 minute session. It sometimes goes to an hour, but it’s really understanding what people’s needs are. Where are they in their process? Are they best served by having a website or do they need sort of direct marketing? Do they need sales letters? All those things because storybrand has a method for all of it, but usually when I onboard people, one of the first things I do is make sure that I’m understanding their ideal client first. I think there’s always, before I ever can get to story brand, I really want to know who people serve and then the Story Brand framework is it’s a three hour session and we really just sort of dive into the seven points of the framework. We go into really a lot about who the hero is. We talk about their problems from three different levels, so the process is really about engaging my client and I love seeing my clients so I do everything on Zoom. I’m a huge fan of it, so if people aren’t where I am, which is in Colorado easy, great, no problem. We hop on Zoom and we do this brainstorming and it allows people to not have to sort of pigeon hole themselves, but we really spend this three hour time of going through each step like who are they, what do they offer their hero as the guide? We do all of that stuff through a process and I never even get to writing until probably a third or fourth call because it’s really research and understanding how they fit into the framework. Rob: If somebody wanted to, short of buying the book or going through the course but kind of wants to follow this framework, what would you say the first steps would be? Let’s say I wanted to redo my website, which is true, I do. What should I be doing in addition to that research to get my story straight or start doing things so that I’m going to get the same kind of benefit that you got when you redid your site? Linda: Well, I guess there’s a couple of things. One thing is to understand yourself as the guide. What is it that somebody really wants from you? It’s a lot less than you think. They really want two things. They want empathy and they want authority. That empathy piece, they just want to know, hey, you get me. That really comes from, hey, I’ve worked with people exactly like you or I’ve been in your shoes. I mean it’s pretty simple, but it’s really understanding your own personal story of how you help people. Authority is a lot less than people think. One of the things we talked about with my clients in particular is that they’re like, why would somebody hire me? I mean I don’t have the authority. Hey, Linda, you were an attorney once, that’s authority in and of itself. Really authority all it is, is do you have the skills, do you have the training? Do you have a process? What is it that it takes to get me to where I want to go? I mean, for new copywriters, if you have a process and you know exactly how to get somebody to where they want to go, share that. That’s what people want to know. I think if you can convey that in a site, and that’s something that I hear over and again is this, that I feel like you get me. I feel like you’ve stood in my shoes. If you can convey that in the site, that’s half the battle. I think that made a huge difference is really stop talking so much about who you are, but really just share those two points and you’re going to really change how you attract the people you want to find. Kira: Now you mentioned the three hour kickoff call, so I usually go about 90 minutes or so and then I tap out, but I’m always looking for ways to improve those calls that really sets up the project for success. I’m just wondering how I could access what you talk about in that three hour call. Is that something that you pulled from the Story Brand program? Is that something I could access in the book or is that something like your own secret sauce and you’ve got your own way of doing it? Linda: I put my spin on everything and I think that all of us do that, but I think when it comes to the Story Brand framework it’s in the book. You can sort of follow the points of the framework from the book. He also has it, I think, on his website. You can actually do your own story branding. He has it where you can actually electronically fill it in and what it is, is really is the seven points are you’ve got your hero who’s got a problem who meets the guide, who offers them a solution. A three step plan, who calls him to action, who then shows him success, and then the failures they avoid. That’s the complete framework and as I’m walking them through each section we talk about the problems and not just from what’s happening in their life, but how’s that making them feel inside. What’s the frustration? It’s more than just frustration. You just keep digging and you keep going under the layers. The framework is accessible definitely online and if … I’ve seen people apply it. Now obviously Don Miller wants people to get certified and you can’t hold yourself out as a guide unless you have been certified, but there is stuff that you learned in the training that really helps you do that process. I think there was definitely more than what I had learned reading it or taking his online course. He does help you get through that process in a way that three hours goes really fast, Kira. Kira: Well, I think that all of it kind of connects back to what you were saying originally about having a structure and a process, which is what Rob and I talk a lot about in our accelerator program and this is what gives you that process so that you’re not just arriving on a kickoff call and just winging it, which I’ve done in the past. You’re working through a process that we can all access in the book or the program. I want to ask more about how you’re getting clients today because I know that you are quite busy and have a lot of work coming your way. It sounds like you might be getting some from the website through Story Brand and but what are some of the other ways, what else are you doing to attract the right clients? Linda: I’m pretty active in terms of my own personal brand and I keep evolving that, and I know you and I’ve talked about that, and one of the things I do is I’m pretty active on social media. I am consistent in terms of the things that I teach my clients I consistently do. I actually love brand strategy, so for me, I am out there using social media and I post on Instagram every single day. I do things that are important for my clients. I have a 15 minutes to genius video that I post in Facebook. I send it out actually to my tribe Sunday night. I post the video on Facebook, IGTV, YouTube on Mondays, but it’s really about building your business 15 minutes at a time. I’m out there and it’s funny, I just got my first lead off of Instagram, so persistence works. Linda: Yeah, and it was sort of a local person that had said I had no idea how I found you, but I’ve been following you and I just think you’ve got what I need. I’m getting them from all sorts of places. I also am really lucky. I teach a branding course at the Ford Institute where I had been certified as a life coach, so I have pretty rich network of life coaches and once you get started, I’m really lucky to also have a great referral base. I work with some clients that are just so generous in sharing me to other people, but it’s really getting out there. I also do three brand keynote speeches. It’s one of the things that I’ve loved about Don is he does give us tools. I live here in Vail, Colorado and I often will do keynote speeches. It’s gotten me so involved with the Vail Valley businesswomen. They actually just made me a board member so it’s just remaining active on I will say local and sort of global levels and being unafraid of putting yourself out there. Rob: I want to talk about maybe some of the behind the scenes of the 15 minutes to genius that you do. Mostly because I think there are a lot of people who think, oh, I should be out doing video, or doing podcasts, or doing something else in order to build my authority, but they’re afraid to do it. Your videos are awesome. Before we started recording, you were saying that they’re not really scripted out. You just kind of go. Talk about the set up, how you plan, what you’re going to say and what you’re doing. Like I said, they’re great videos and anywhere from say three minutes to 15 minutes or so of great advice. Linda: Yeah, 15 minutes to genius started out after I read this book called the slight edge by Jeff Olson, and Jeff Olson really talks about how we all wait till we’re overwhelmed and we’re really … unless we’re doing something small each and every day, we’re not really building our business. I love this concept of just doing something small daily. I mean literally 15 minutes if you’re so stuck. So, 15 minutes to genius, the process behind that is, is each month I sit down and I write out what are the topics I want to talk about this month. They might change based upon what’s going on in my life but there’s a balance of mindset videos versus some really practical things that you can do on Instagram or whatever it is. I kind of balance back and forth and I do write out the posts and I write out thoughts about them. Often there are things that I’m running into in my business. There’s things that I get stuck on. I have talked to video people and I do follow some amazing people who talk about video and learning how to really set that up. I used to script them, but I found when I script them, I scripted them I sounded so stiff. I went back to my attorney days and just trusted. I had a partner who used to say use the force. I would kind of just channel that. What I really do is, is I remember who I’m talking to and I’m not a fan of video. If I could hide behind my words my whole life I’d be great. Like so many of us copywriters are like do we have to go out on video? I just started off. I pull up the Zoom, I hit record. I don’t always have makeup on. Sometimes I’m outside hiking and I’ll just record something then. It’s really about talking to one person, making sure I’m actually looking at that little green button on your computer if I’m doing it via Zoom. Really, I mean they’re only two to three minutes long, Rob, so they’re just about making sure I’m sharing something that’s important that can help people move forward. It’s been a process of just putting it up on all of the sort of platforms that I think can reach people. Rob: Yeah, I love The New, New Year that just I think published maybe a week ago or so and got me thinking this morning. Yeah, I love what you’re doing there. Linda: Thanks. I am a big fan of, I think September is the greatest time to map out your plan because people are like, your kids go back to school. It’s the greatest time to really think of what you want to do next. Kira: What do you sit down and kind of think through as you’re mapping out the year in September? What are some things that our copywriters can think about as they do that? Linda: It’s funny, I haven’t quite sat down and done mine yet, so this is a good question. Good question. Rob: It’s still early in September. We’ve got a few weeks. Linda: I know, I’m like, okay it’s the sixth. One of the things that I think about is, okay, who have I served and I’ve talked to both of you guys before, because I’ve been a life coach I love that field. I also understand what it’s like to brand as an attorney and so do I really want to split myself and have I served the audience I want to serve? Am I doing too much? I mean, we’ve talked about this before. I’m an over doer and I think it’s a time to reflect on who is it that I want to serve and how do I want to serve them. Is it that I’ve recently started doing a lot more retainer clients and I actually like that model. How has that been working? I’ve implemented day rates, is that working? Is that something that I want to go forward? I love teaching so do I really want to do a membership that makes it affordable for life coaches to really learn how to put themselves out there? It’s things like that, that I’m like, what are the strategies I’m going to put in place and when am I going to do them because I tend to be like, oh I can do all of this, and then I want to launch everything at the same time and it’s really ineffective. It’s really breaking down your year and understanding when am I doing things? Understanding sort of when the slow periods are. I think in some ways I’m still learning when that is. What is it that I need to do to create consistent income? As you know, as copywriters I think that’s one of the biggest struggles because the business can be so up and down that I really think I map it out on, hey, what is it that I really love to do? What are the resources I need to help me out? What is it, what do I need to do to create consistent revenue so that I’m not freaking out during this sort of low times? I think those are the things that I sit and map out on every level to make sure that I find a little bit more balance than I have in the past. Kira: Okay. There’s a lot there that I want to talk about. Especially retainers, and day rates, and not freaking out when it slows down. Business slows down, but I want to back up because you are doing social media really well and it again, you are actually doing what you teach your clients to do and I think that’s hard, right, to even make the time to do that and show up. I’d like to hear just specifics that you’re doing on the various channels, what’s working today because we know social media changes so quickly, and then also if a copywriter could do one thing and show up in one channel and do one thing, what would you recommend that’s working really well for you right now? Linda: Gosh, the one thing I think it’s working really well and has been Instagram. I mean I had an Instagram challenge this summer and I think that worked really well where I taught people how to use Instagram and I was teaching myself at the same time. It was kind of fun, and it was really about how do you grow because these algorithms, social media for businesses become so difficult to grow organically. I mean you need to pay for ads and I’m a big fan of learning how to do it organically. What I would say is I love Instagram because I think it’s a great way to connect. I mean the idea of Instagram stories is super fun too because if we’re copywriters, we’re telling stories, but we’re just telling our own stories. I think that’s been working for me the most. I think the next place I want to go is YouTube because I think there’s such opportunity there where it’s not as controlled by the algorithms. If you can stick to those kinds of plans, people know what to expect from you, but you’re always being of service in your teaching or you’re giving them something, and I think we’re always afraid of giving them tips about how do you write this, or showing them your work and showcasing your client work. All that stuff is really great to do on social media and you don’t need to do all of them. You really don’t. I hate Twitter. I’m not on it. It’s not useful for me, but find one that you love. Facebook’s getting harder. I won’t lie. I mean, Facebook’s great if you want to have groups that you lead, but I think Facebook’s getting harder and harder to actually reach your audience. Rob: I want to shift the conversation just a little bit. I know Kira had some other questions maybe about retainers and day rates, but one of your focuses is mindset and sort of getting everything lined up so that things function properly, and I’m curious, when you look at what copywriters are doing, when you spend time in the copywriter club or people that you meet, what are some of the mindset mistakes or mindset problems that you see among copywriters that we need to be working on so that we can perform better? Linda: You know, I think it’s similar across so many industries, I think. One of the things is that we talk a lot about the imposter syndrome. You know, that we all think we’re a fraud. There are those days that I struggle going … You know, I’m writing stuff and I’m like, ‘Who would read this?’ I think that’s one of the biggest mindset issues that we have is, is that we don’t … we’re always comparing ourselves to others or I’m not as good. I know I even find myself doing that in the think tank where I’m looking at some people. I’m like, ‘I’m not that funny. They’re amazing,’ right? I think that’s the biggest mistake is, is that we start to compare ourselves. So I think that’s the biggest one. I think fear is always present for people. You know, it’s, ‘Am I going to be able to do this? Can I succeed? Can I actually get the clients?’ I think that’s a huge one for people all the time and sometimes it’s a belief of, ‘Oh my God, what happens if I succeed? Is my family going to suffer? What happens then?’ So it’s sort of … those are the common ones that I often see from copywriters, anybody really, who’s going into business by themselves, but definitely for copywriters, those are good ones. Linda: You know, it’s funny because we all have these sort of limiting beliefs and no matter what happens, you’re always going to have limiting beliefs. The thing is, is to remember we’re meaning making machines and we’re born to sort of figure out the world around us, so we’re making meaning of everything, but it’s really questioning it. I look at my 16 year old son who has a ton of what ifs going on at all times and I said, ‘What if it all turns out just fine?’ Because we never do that what if. We do the, ‘Oh my God, what if it’s going to be catastrophic or what if I fail or what if I …’ I start to shift my beliefs and really look at what’s real. I recognize that a lot of the beliefs that I have that were formed somewhere when I was really young and unable to actually process the world around them. I used have this belief that drove me actually to become an overachiever that I was stupid and the reality is, is that it came from not being able to do this math problem when I was eight years old, and the reality was, is that I just … my parents weren’t actually helping me out in the right way and my sister who was four and a half years older, of course she was going to be able to do it, but just connecting with the fact that that, you know, little kid didn’t understand how to process the world, it makes me sort of remember, listen, shift the belief that I really can do anything as long as I give myself the time to do it. It’s not about being positive, but it’s about recognizing that it’s just a belief and that you do actually have the skills to get through it, because being positive doesn’t work. Affirmations don’t work. It’s actually shifting the belief into something that you can actually buy into, if that makes sense. Rob: Totally makes sense. So, I’m curious, is there like a simple exercise that we can put ourselves through to identify what those different beliefs might be? Because I’m guessing that the belief that holds me back is very different from the one that holds you back, so how do I figure that out? Linda: Everything always starts with awareness and I think you have to listen to your inner dialogue. We don’t really listen to that, but I call it the internal baseball bat. What’s the internal baseball bat? What are the things that you yell at yourself about? What are the shoulds? So, really listen to the shoulds. You know, we should all over ourselves, is the saying, right? But, what are you shoulding about all day long? Like I should’ve done this better, I should’ve … Really listen to it and ask yourself, ‘What’s the belief behind it?’ I mean, it’s a simple question. We all know it. The beliefs often … They come down to several different ones, you know? I’m not enough or I’m not worthy or I’m not smart enough or whatever the enoughs are as well, you can start to identify them and really just … It’s really like grabbing a piece of paper and writing some of them down. It’s a process of observation. There’s no one exercise, but, you know, understanding like what’s holding me back. Those are the greatest places to look, is you can’t move forward somewhere, there’s a belief there, and really go there and look. Kira: I love this advice. This is definitely useful for me right now. So, I also want to ask you about self-care because in our think tank we had a self-care month. Was that July? Because so many people at that level are ambitious and just, like you, take on a lot because they can do a lot. So, you were really active and you take care of yourself. How has this changed your business and what does self-care look like to you and mean to you? Linda: It’s super important and I tend to forget it too like the rest of us. I can start working at six in the morning and work til 10 at night. I’m really, really good at that and I’ll be like, ‘No, I have to do this for my client.’ But again, it’s like we were just talking about those beliefs. The second I say, ‘I have to go do this,’ means I’m neglecting myself, and so I build in a structure like everything else. I schedule my workouts. I schedule when I’m going to go run. It was great because somebody just recently emailed me and said, ‘Hey, want to train for a half marathon?’ I haven’t done one in a couple years, but it’s remembering the kind of self-care that you need. So, I always will go work out with a trainer twice a week, but it’s not the exact kind of self-care that I need. I mean, I actually need to run because that’s my meditation. Some people will say meditate, and I’m really bad at it, but if that’s your self-care, go for it. Carve out the time. Don’t skip it. Make it an absolute non-negotiable. So, I make sure now I give myself a goal. Goals are amazing, because I now have a half marathon that I want to do this winter at some point, so now it gets me the kind of self-care that I really need. Rob: Dig it. Okay, cool. I mean, I don’t even have anything to add to that really. I took a big, long vacation this summer. I’m a lot like you, where I’m willing to work all day and into the night and even sometimes neglecting time with my kids or those kinds of things just because … Maybe it’s because I get gratification from it or maybe it’s just because there’s always more to be done, but taking that time off is critical. I totally agree. Kira: Yeah, I feel like I still can improve in this department for sure, but I have been doing a better job at running, which is also my meditation, Linda, and since I’ve been doing that regularly, I can feel a difference in my business and I’ve actually seen growth and financial growth too, so I think it does pay off and it’s worth paying attention to. I want to circle back and ask you … Again, you mentioned retainer clients are working, day rates are working, you’re trying at these new packages. I want to hear a little bit more about how they’re working for you and how you’re making them work for you too, right? We also know that there are lots of horror stories about retainers and even maybe day rates, so what are you doing that’s making them work? I’d love to hear more about that. Linda: Let’s start with day rates because it’s a little easier, but they were a great thing to try out with clients that sort of … a warm audience, if you will. Clients that really wanted to work with me but maybe couldn’t afford some of my higher packages, my higher rate packages. The day rate’s a great way to give people something of value quickly, and so I do it for areas that I actually am really familiar with so that the research isn’t really intense. You can’t really do a day rate with something that you have to spend a lot of time researching, but what’s really working is, is that I can write pretty quickly and give people what they want. I’ve made mistakes with it and I’m learning. The editing process, you can probably get one round of edits but sometimes people really want more, so how do you deal with that aspect of it? So, I’m making mistakes there and learning quickly, but I’m also learning that you can’t do more than one day rate a week because it’s exhausting. So, those are kind of fun processes that I’m learning. I’d like to continue to do them. I’m getting smarter about scheduling them. Retainers, I think those are really great things to do, also with clients that you’ve built trust with. So, I currently have two and I’m considering a third retainer client that I’m delivering content and strategy over the course of the month and we sort of agreed on a flat fee. I kind of love it because you stay involved with a team and you can really see the impact, so in particular, one client I got to write a quiz that she’s now had, I think like 8,000 new subscribers. It’s kind of crazy. She’s sort of a big name anyway, but it was fun, and what’s happening now is I get to write another quiz. I get to help her with her membership stuff, so you get to see the evolution of that and really help them sort of with their return on their investment. I think you get to see a greater sort of … It’s a greater reward even as a copywriter because you get to continue hearing their voice and really become part of their team. Kira: Can you share how you make the retainer work for you financially too? Because, again, sometimes those just end up taking so much time and not paying enough. You don’t have to necessarily share what you’re charging, but just how you structure that and how you figured out how much to charge for a retainer. Linda: You know, one of the things is I asked you. I talked to other people who were doing it and trying to figure out how many hours am I going to be doing copy versus strategy and I charge strategy at a higher rate than I would copy. I think I’m still learning to see. I mean, one of the things I had said with my first retainer client, I said, ‘Hey, this is where I’m setting it now. Can we keep an eye on the hours and go from there?’ Luckily she’s a really receptive client, so I’m lucky, but I think it’s really a little guess work at first and I’m probably going to be tweaking it as we go. I think having a few of these is actually sort of a nice base for me in terms of really setting the proper expectations. Like, if I’m going to have 10 hours, I really probably need to make sure I stick to 10 hours a month, or is it 20 hours? But really be able to say what are the expectations and what is it that I am going to be delivering for you. Kira: Okay, and what is next for you? What are you most excited about right now in your business? Linda: You know, I think what I’m really excited about is after having sort of some struggles is making sure that all my processes line up. I’m really excited that I have been serving an audience that has naturally grown and I love being sort of in that life coaching, wellness industry because I am able to make an impact for people. So, I think the fact that I’m just providing new services and ways to help people get out there is what excites me the most, and so I think that’s kind of what’s coming up is, is that I’d like to see a little more consistency and just find a nice, steady pace actually. Rob: It kind of feels like you’ve got it all figured out, Linda, in talking to you. It seems like you’ve got a great business and a great set of clients. Linda: Well, and really it’s kind of a difference from a few months ago, I think, where I was still really struggling with myself, but it’s just … I think I’ve gotten clearer and I think that really helps. Linda: So, I’m loving it. Rob: If people want to connect with you and learn more about you or see the 15 Minutes to Genius videos, where should they be looking for you? Linda: You know, you can always go to SoulGeniusBranding.com. Sign up on my list or find me on Facebook. Soul Genius Branding, or Instagram, which is also Soul Genius Branding. So, I’m there. I would love anybody to start following and tuning in and sharing … I’m a big … Please share your stuff. Tell me what you need. Tell me your challenges. Tell me your victories. So, tune in there and I’d love to hear from people. Rob: Awesome. Thanks so much for making time for us. Rob: You’ve been listening to The Copywriter Club Podcast with Kira Hug and Rob Marsh. Music for the show is a clip from Gravity by Whitest Boy Alive available in iTunes. If you like what you’ve heard, you can help us spread the word by subscribing in iTunes and by leaving a review. 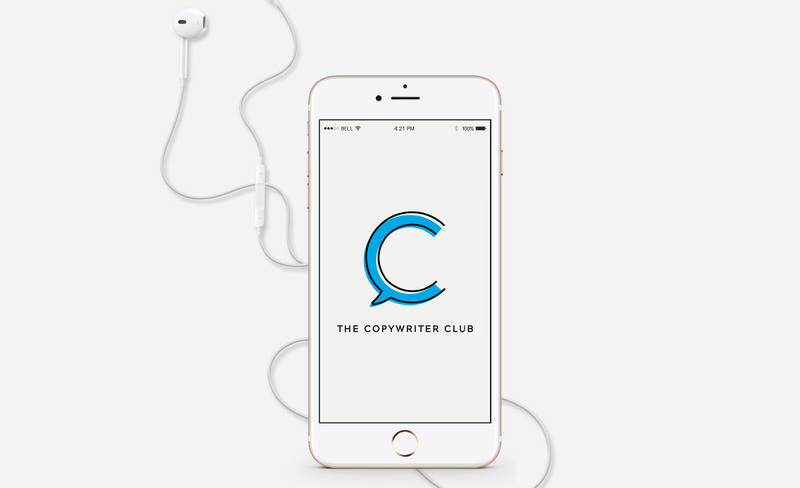 For show notes, a full transcript and links to our free Facebook community, visit TheCopyWriterClub.com. We’ll see you next episode.